As Angola decolonises from Portuguese rule in 1975, a power struggle erupts between rival independence groups. 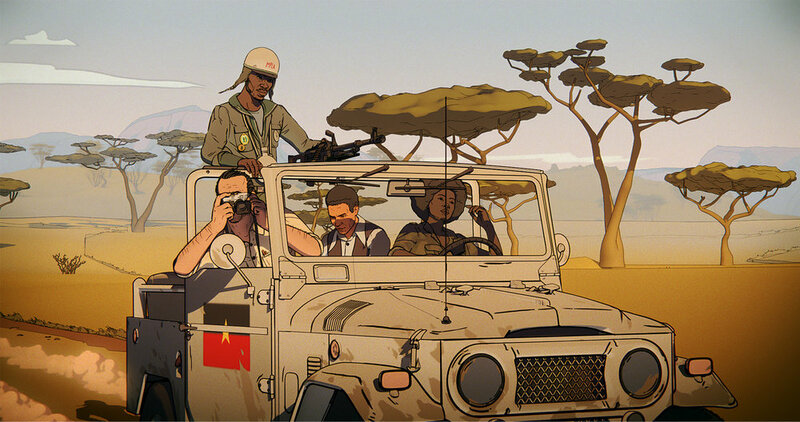 Ryszard Kapuściński a foreign correspondent from the Polish Press Agency, travels to Angola, ravaged by a war in which the front lines shift like a kaleidoscope from one day to the next. To illuminate the daily horrors and human stories behind the conflict Kapuściński documents his experiences in what would eventually become his personal book “Another Day of Life” about being ‘alone and lost’ in the chaos and confusion and dirty reality of war. Angola will change him forever: it was a reporter that left Poland, but it was a writer that returned. Raúl de la Fuente is an award-winning director and co- founder of KANAKI FILMS a Spanish company originating from the Basque Country, producing feature and documentary films. In 2015, Raúl de la Fuente’s film Minerita”was shortlisted for the 88th Oscars© Academy Awards as Best Short Documentary Subject. The film won the 2014 Goya Award from the Spanish Cinema Academy. Minerita has been screened in more than 140 film festivals and has won 45 international prizes. His first feature film Nömadak TX was the most awarded Spanish documentary film in 2007 ( 17 prizes and more than 150 selections in film festivals ).